The Neuromuscular and Rare Diseases Unit is a Unit of Foundation IRCCS Ca’ Granda Ospedale Maggiore Policlinico of Milan (http://www.policlinico.mi.it/Reparti/m/MalattieNeuromuscolari.html ) that collaborates with the “Centro Dino Ferrari of University of Milan” in the context of shared care activities and research. The activity of the Unit is aimed at the diagnosis, care and study of patients with rare neuromuscular diseases. These diseases are among the rare, the most frequent of all. Almost all diseases are genetically determined. Our Center, one of the few in Italy that specializes in treating these patients, has the peculiarity to assist both in terms of outpatient and day hospital is under the diagnostic laboratory by analysis of peripheral nerve and muscle biopsy. The Centre receives many patients and biopsies from other sites in hospitals throughout the country. The Unit is ISO 9001 certified by DNV since August 2002 and July 2005 by BVQI for: “Design and provision of diagnostic services and morphological research in the context of rare neuromuscular diseases in inpatient, outpatient and in agreement to third parties. Managing a Bank of muscle tissue, peripheral nerve and DNA”. The “Bank of muscle tissue, peripheral nerve, DNA and cell culture” is part of the Unit and contains samples from patients with rare neuromuscular diseases. The Bank’s activities is essential to expand the range of services and scientific opportunities offered to national and international researchers working in the field of neuromuscular diseases. Every year there are in fact many biological samples sent to prestigious research institutions both Italian and foreign. The Bank currently includes thousands of muscle tissues , hundreds of peripheral nerve tissue for morphological studies, thousands of DNA samples and several lines of cultured cells. The Bank is partially funded by Telethon (Telethon Network of Genetic Biobanks) and is a partner of the “European Network for Rare Diseases Biological Resources”. 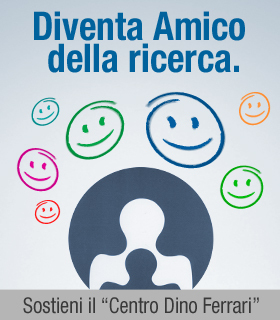 Finally, the Bank is one of the subjects of the” Italian National Biobank”. The research activities of the Unit is dedicated to the study of rare neuromuscular diseases , in particular muscular dystrophies, congenital myopathies, metabolic myopathies, myofibrillar myopathies, mitochondrial disease, channelopathies, and motor neuron diseases. Our business is targeted to the study aetiopathogenetic, is looking for novel therapeutic approaches for these diseases. The results obtained from the Unit are documented from the large number of scientific publications available in PubMed. The specific scientific expertise allow for years to get funding from foundations both ministerial NPO following the presentation of projects in the field of neuromuscular diseases.